Donnie Darko is one of my favourite movies of all time. If not my all time favourite. A few years ago, I started hearing word of Richard Kelly’s next project, Southland Tales. And I waited. And I began to believe this movie was mythical. IMDB said it existed. Movie reviews said it existed. But I just couldn’t get my hands on a copy. I was hesitant to buy a copy of a movie I hadn’t seen before. What if it wasn’t worth the money? The reviews I had read weren’t very complimentary. But then I found it. Sitting on the shelf at my local video store in the weekly section. And it was $1 Tuesday. Score! So was it worth the wait? Was it a work of unappreciated genius or an utter disaster? With an abundance of recognisable stars, a soundtrack by Moby, and special effects galore, there’s a lot going for this movie. It’s an apocalyptic tale of the end of the world. It’s a satire of the war on terror and the infringement of civil liberties. It’s a music video. It’s a love story. It’s a science fiction tale involving time travel and creepy psychic scientists. It’s a multi-media experience involving comic books and websites. It’s all of these things and more. Sermon: How Can A Loving God Send People To Hell? At Church, we’ve been going through a series called “A Faith Worth Believing”, preaching on some of the objections people have to following Jesus. Last Sunday, I preached on the topic “How Can A Loving God Send People To Hell?”. I used Luke 16:19-31 as my text. I was suffering from a bad dose of the flu, so my delivery may be a bit off, but I think God’s Word, the Bible, still comes through. All men are equal. Allegedly. In practice, the truth is somewhat different. There’s a huge difference between the life of someone living in a developed country and someone living in a slum in the third world. Ideally, everyone should be treated the same, regardless of gender, nationality, age, sexuality, etc. But in the real world, it doesn’t always happen that way. You watch the news and see some of the atrocities that people commit against other human beings. If that’s how we treat other human beings, how would we treat aliens? Aliens have landed. They’re sick, malnourished, and disorganised. They need our help. Instead we show them the ugly side of human behaviour. Instead of love they are shown heartless bureaucracy, racism, and fear. 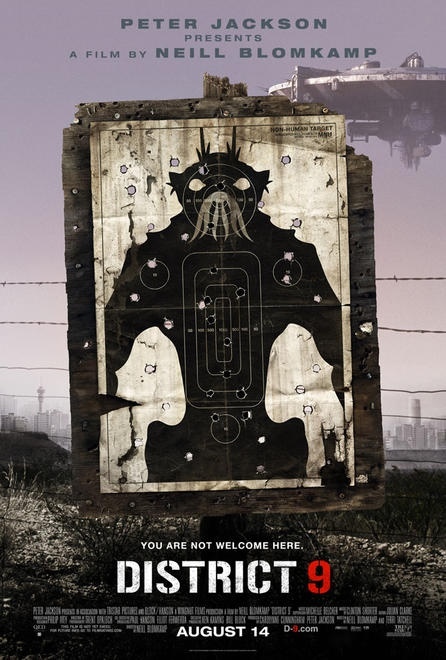 Welcome to District 9. Yesterday I wrote a review of a comic called Jesus Christ: In The Name of The Gun. The general gist of my review was that it was inappropriate and disrespectful to Jesus. In a move that I find surprising and commendable, creator Ethan Nicolle has apologised for his work on his blog. Each week, I go through the comic book new release list, looking for any interesting titles that I may otherwise have missed. Last week, a title jumped out at me as something I must absolutely find out more about. Jesus Christ: In The Name of The Gun. Now that does sound like a comic worthy of a Pop Culture Christ review, doesn’t it? 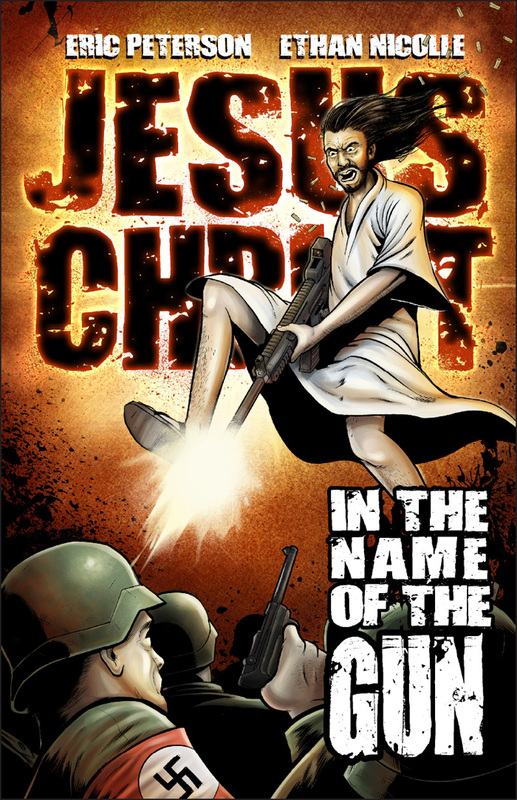 I did some research and found that before being published in print form, Jesus Christ: In The Name of The Gun existed as a page-a-day webcomic. So I checked it out. Wow. There’s a whole mess of things to talk about here. Every child on the planet, at exactly the same time, stop in their tracks and say in unison “We are coming”. Every single child. 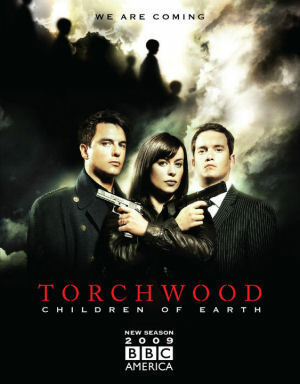 And so begins the third season of British science fiction show Torchwood. In five episodes, shown over five consecutive days, a story of corruption, compromise and fear will unfold. Aliens are coming. What will those in power do to secure their future and keep their secrets safe?